Heath Ledger's final film, "The Imaginarium of Doctor Parnassus," premiered in London to a star studded audience on Tuesday night. Jeremy Piven, La Toya Jackson and "True Blood's" Stephen Moyer were among the stars who stepped out to see the film, which Ledger was working on at the time of his death. "saw Heath's final performance last night," Piven who was in London, Tweeted about the movie, directed by Terry Gilliam, who was also at the premiere. "wow what an artist." Ledger's co-stars in the film, including supermodel Lily Cole, Verne Troyer and Tom Waits, also turned out for the showing. 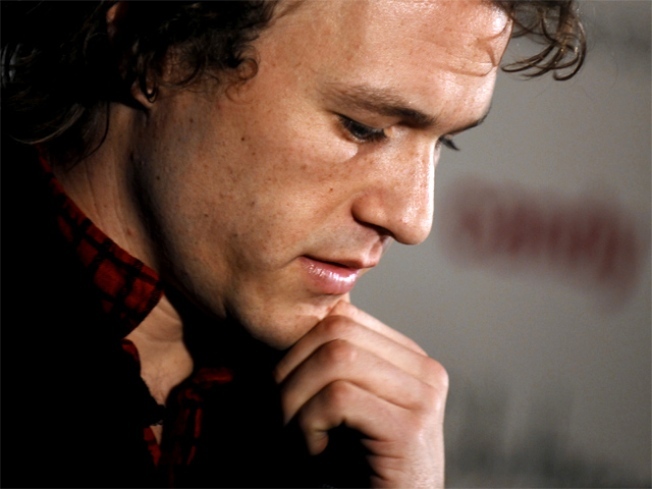 Ledger died of an accidental prescription drug overdose on January 22, 2008, while he was still in the midst of filming. A plot twist in the film, however, allowed several of the actor's friends and admirers, including Johnny Depp, Jude Law and Colin Farrell, to step in and play the same role.